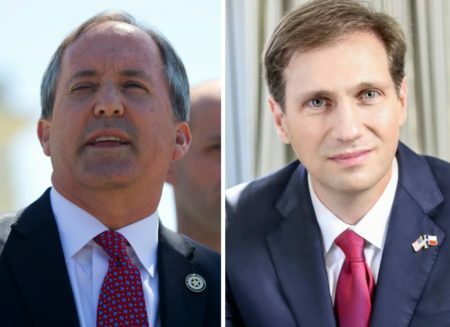 A low-key, low-turnout primary runoff election Tuesday set the slates for November’s general elections — starting with the Democratic nominee for governor. Tuesday’s runoffs set the major party ballots for a November general election where Texas Republicans will be trying to maintain a 24-year winning streak in statewide elections while Democrats will be trying to breach the red seawall with a blue tsunami. 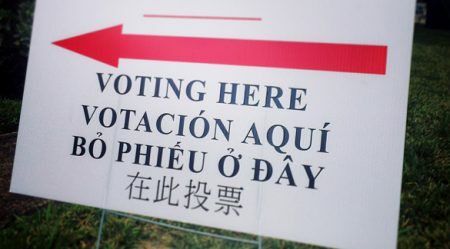 The top of the general election ticket was set in March, when U.S. Sen. Ted Cruz, a Republican, and U.S. Rep. Beto O’Rourke, a Democrat, won their parties’ nomination for U.S. Senate. Based on the piles of donations the two candidates have collected and the public interest they’ve generated to date, that looks to be the marquee race this year. Ordinarily, that’s the place of the race for governor; even in years when one party or the other is dominant, Texas gubernatorial races often dominate the news and public conversation in the state during non-presidential election years. This year, with Gov. Greg Abbott’s relative popularity and huge financialadvantages, Texas Democrats advanced two largely untested candidates to the runoff. And on Tuesday, voters chose former Dallas County Sheriff Lupe Valdez to challenge the incumbent in the general election. Neither of the Democrats’ top candidates for that seat raised much money; they were outdone in that respect not only by the U.S. Senate candidates but also by a handful of candidates running for congressional and legislative seats. Abbott, on the other hand, had more than $41 million in his campaign accounts as of the latest reports. Valdez has a lot of work to do, and fast, to get in that race. While they’re at it, Cruz and O’Rourke will keep chewing up the scenery. 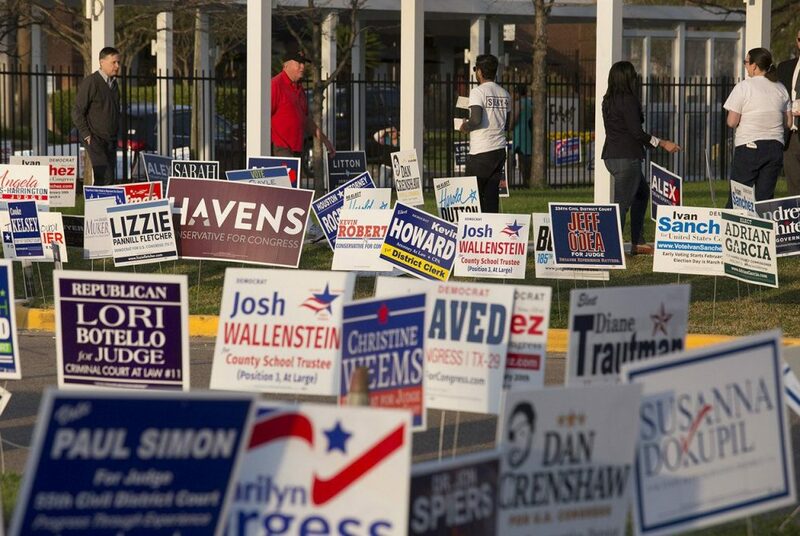 Most of the statewide executive branch offices are on the ballot this year, along with one U.S. Senate spot, all 36 U.S. House seats, 16 of the 31 Texas Senate slots and all 150 seats in the Texas House. Little of that was on the line Tuesday. This was the last of the intramural fights between factions in the two political parties. For Democrats, that was best exemplified in the 7th Congressional District, where national Democrats — through the Democratic National Congressional Committee — endorsed Lizzie Pannill Fletcher over Laura Moser. 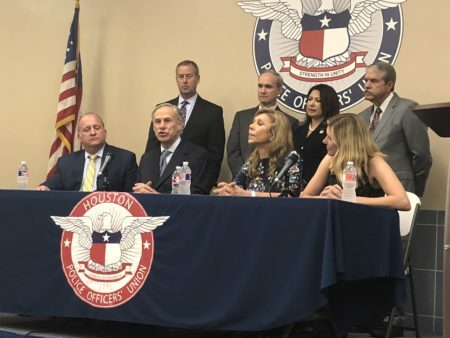 That initially seemed to help Moser more than it helped Fletcher, turning a local campaign to challenge U.S. Rep. John Culberson, R-Houston, into a family fight among the Democrats. But when it was over on Tuesday, Fletcher won easily, setting up a November contest where the incumbent Republican will be defending himself in a district where Hillary Clinton beat Donald Trump in 2016. At the same time, Republicans argue, Culberson himself was winning and statewide Republicans won their races by an average of more than 11 percentage points. Two other Republican congressional incumbents — Pete Sessions of Dallas and Will Hurd of Helotes — are in districts with Clinton-Trump numbers like Culberson’s. Democrats had runoffs in both of those districts: Sessions will face Colin Allred, and Hurd will face Gina Ortiz Jones. For Republicans, the poster children of factional fights might have been the candidates for Texas House District 8, where Thomas McNutt, a conservative who lost the primary two years ago, was up against a more moderate candidate, Cody Harris. The retiring incumbent, state Rep. Byron Cook, R-Corsicana, backed Harris, in a race seen in Austin as a proxy for friends and foes of House Speaker Joe Straus. Cook is one of Straus’ most important allies. • If you tote up the head-to-head races between Republican Texas House candidates backed by conservative and moderate donors and organizations, the moderates won five of six. • Two House incumbents in potential swing seats found out through Tuesday’s runoffs who they’ll face in November. State Rep. Victoria Neave, D-Dallas, will face Republican Deanna Maria Metzger. And state Rep. Paul Workman, R-Austin, will face Democrat Vikki Goodwin. • The only two incumbents on Tuesday’s runoff ballots — state Reps. Scott Cosper, R-Killeen, and René Oliveira, D-Brownsville — both lost. Republican Brad Buckley and Democrat Alex Dominguez, respectively, will advance to the general election. • Turnout was terrible, which isn’t unusual for Texas in general and for Texas runoffs in particular. In incomplete returns, it appeared that less than 500,000 of the state’s 21.3 million voting age adults showed up. About 2.6 million Texans voted in the March primaries — 1.5 million on the Republican side, and 1.1 million on the Democratic side. That was just over 17 percent of the state’s registered voters, according to the Texas Secretary of State. For comparison, turnout in the last presidential election in Texas, in 2016, was 59.4 percent. Disclosure: Paul Workman has been a financial supporter of The Texas Tribune, a nonprofit, nonpartisan news organization that is funded in part by donations from members, foundations and corporate sponsors. Financial supporters play no role in the Tribune’s journalism. Find a complete list of them here.